Are you considering adding a security camera to your home or office to make it more secure? These are becoming increasingly popular for their effectiveness and advancements in technology. It’s a great way to watch out for criminals, watch for internal theft in your office, keep an eye out for quality assurance, and just feel a peace of mind. Take a look at why you need a security camera, what it can be used for, and what you should know before making the purchase. One of the biggest reasons that people get security cameras is to watch for criminal activity. Whether it’s protecting your home at night or while you’re away, or having your office on watch during the night, crime detection can happen to anyone and by having proof on camera it will only help you recover your items or catch the thief. Most of the time when a criminal sees a camera, they will be more likely to leave to avoid getting caught doing something illegal. There are a couple of great reasons to get cameras at work. If you want to make sure you’re getting the quality you expect from your suppliers, have cameras put up for quality assurance. Whether you’re a food manufacturer, a company that has to prepare shipments to your customers, or you want to make sure your sales staff is taking care of your customers properly, putting up cameras will remind your staff that they are being watched and need to perform to their best ability. If you’ve ever worried about theft happening within the building, it’s a great way to catch any of this in the moment. Internal theft can be a large problem for companies that don’t realize it’s happening since it can go on for a long time and start to add up. Whether your staff is taking home office supplies or something more serious, like internal records and sensitive customer data, this can become a financial problem or a legal problem. Having cameras up will deter your staff from getting any ideas, while at the same time giving you a chance to see if there are other issues in the office that are slowing down productivity. Don’t forget claims made in the office that could cost you. Be extra cautious in case someone files a harassment claim, somebody slips and falls in the parking lot, or a customer says they didn’t get the service they expect, you’ll have it all on camera. These types of things can cost you a lot of money, but if you have proof something didn’t happen as it was claimed, it will likely get dropped. While it’s nice to have the visual recorded for covering your company or your home’s security, you’ll want to be sure to avoid recording audio. There is an Electronic Communications Privacy Act of 1986 that restricts audio recording. Keep in mind that just like any other technology, security cameras can be hacked but you can stay secure by updating your password that accesses the cameras on a regular basis. Be sure to choose one that is higher-end and can see up to 100 feet in HD, because the lower-end versions will only reach 30-40 ft. at best with low quality. You’ll also want to look for features that apply to you, such as night vision, video playback, video recording, and have notifications sent to you when motion is detected. Then decide where you want to place your cameras and if you want them visible or not, since a hidden camera will catch things that normally would happen while those doing the action wouldn’t know they are being watched. Keep in mind that a wired camera tends to perform better and wireless cameras will kill your wireless Internet. These are some of the things to consider if you are looking to get a security camera for your home or office. They can really give you the peace of mind you need as long as you choose the right setup and understand the best ways to utilize them. Use these tips to get the most of out of your security camera needs. A camera security system is becoming more and more common for homeowners, but is it a good idea? You may be considering adding this to your home to improve your home security, but do you know the impact it will have? Not only do you have to consider what your goal is behind the cameras, but you’ll have to understand laws like filming restrictions. 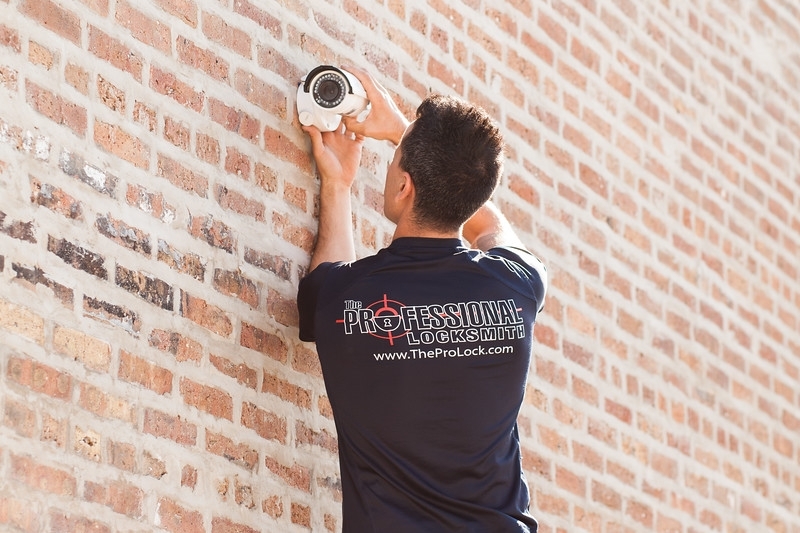 Take a look at this guide to make sure you are prepared before you have a camera security system installed in order to feel confident going into the process. First, you should make sure that you have a clear reason for getting a camera security system installed. If you’re trying to protect your home from vandalism or you want to keep an eye on your home when you’re away, it can be a great form of assistance for you and your family. Perhaps you want to keep an eye on the property in the middle of the night or while you’re away on vacation. There are many reasons to have a security system aside from the help of your neighbor’s watchful eyes. If you have a business to protect, a camera security system can be extremely helpful. You can keep one watching your inventory, watching your cash registers, or keeping an eye out for shoplifters. There are many reasons to have a security system, but it’s important that you know the implications of one discussed below. If you’re considering getting a system, you’ll want to make sure you can accept some of the implications of having one. For example, did you know that your cameras can’t film other people’s homes, restrooms, dressing rooms, or locker rooms? This means that you cannot film in your office restroom or pointed in your neighbor’s house, but you are allowed to film anything that is considered a public place, such as the exterior of the neighbor’s home. You are also not allowed to gather audio from a remote recording or eavesdropping. Be careful to follow the laws of filming if you are going to get a home security system. You’ll want to understand that you can’t only rely on your security cameras since they are all going to vary in what they can offer you. It is possible to have your cameras hacked into, but you can add security measures and change your password in the event of this situation. You’ll also need to make sure you are spending enough to get a camera that can film clearly because a poor quality will do you no good when it’s time to show a tape to the police. Be sure to look for a high-end camera system with features like motion detection and text notifications. Work with a professional to make sure you position your cameras properly and be sure to ask about features such as weather resistance, internet options, and tech support. 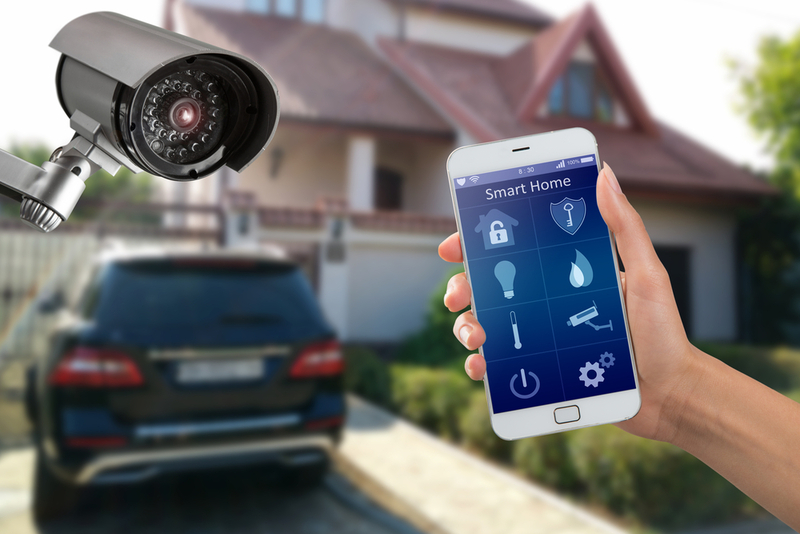 If you are considering getting a camera security system, be sure that you have thought through the reasoning behind it, the laws of having one and using the footage, and the questions to ask before you buy one. Talk to a professional before adding this enhanced security feature to your home or business.